On Monday, Feb. 10, we celebrated from afar the grand opening of the first inclusive playground in Russia. 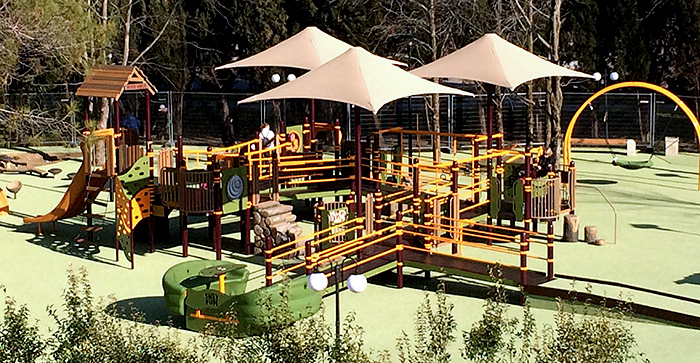 The inclusive playground was installed in association with the 2014 Olympic and Paralympic Winter Games in Sochi. 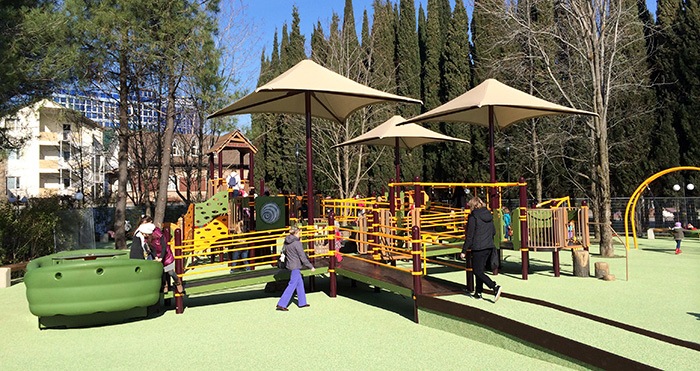 We worked with our partner in inclusive play, Shane’s Inspiration, to design the inclusive play space. In addition to being fully inclusive, the playground offers a nature-inspired play experience with log steppers, climbers that mimic logs and boulders, and a tree house. The nature-inspired features along with the sensory- and accessible-focused playground components help to welcome children of all abilities. This is the second Olympics-related inclusive playground in which Shane’s Inspiration and we’ve been involved—the first was installed in Vancouver for the 2010 Olympic and Paralympic Winter Games. Learn more about the project, and see photos here. This entry was posted in Accessibility, Inclusive Play, Inclusive playgrounds, Nature-Inspired, Sensory and tagged 2014 Winter Games, Olympics, Paralympic Winter Games, Paralympics, playground, Russia, Shane's Inspiration, Sochi by PlayLSI. Bookmark the permalink. A wonderful tribute to the legacy of the Winter Games!